Abstract: The purity and quality of compressed breathing gases are specified to cover both their physiological and engineering safety aspects. The permissible water content specified in British Standards Institution BS EN 12021 (BSI, 1999) for compressed air at pressures less than 40 bar are confusing. 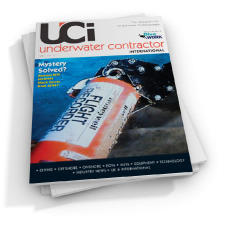 This paper proposes guidance for the diving industry on maximum permissible water content for compressed air at pressures less than 40 bar. The relationship, based on the Magnus equation, of the pressure within a compressed air system, the ambient temperature, the water content (i.e. volumetric humidity) and the pressure dew point (i.e. temperature at which liquid water or ice will form) was used to identify operational guidelines. Two tabular format operational guidelines, one simple and the other flexible, have been developed for the water content of compressed air at pressures less than 40 bar. The ‘simple’ tabular system has been proposed as the preferred system. Abstract: A new design for a transmitting antenna suitable for generating subsea EM waves for the frequency range 1–100MHz is given in this paper. It operates by electrically exciting water molecules to emit dipole radiation. The new design of antenna uses a parallel wire transmission line immersed in pure water contained within a PVC barrel, in order to efficiently generate the dipole oscillations. This mode of dipole radiation generation has an optimum signal output when the dipole dielectric conductivity is compared with the water conductivity. When using distilled water having a conductivity of 2×10–4S/m, this occurs for frequencies above 20MHz.which is suitable for subsea video signal propagation at 25 frames per second. The barrel antenna produces up to a 40dB increase in emitted signal when compared with a coated double–loop antenna placed directly in the seawater. However, a conventional coated, double–loop antenna in seawater is suitable to be the receiving antenna. The reason is because the double–loop antenna, w2hen operating as a transmitter, has to initially generate on electric field within the seawater., which then excites the water molecules. The receiver can directly pick up the propagated EM wave. A less efficient design of the new antenna, which is however more compact, has been achieved by placing the parallel–wire transmission–line dipole transmitter within a water–filled cylindrical PVC tube. For short–distance propagation or diver–to–diver communications, this more compact structure is the preferred design. Abstract: The design, development and testing of a parametric sonar system was carried out during two multidisciplinary international projects to investigate the feasibility of remote sensing of marine sediments using acoustics. Developments included improved drive signal generation for phase steering the sonar beam, and the implementation of a dynamic stabilisation technique to compensate in real time for wave–induced motion of a tow–fish deployed behind the tow–fish deployed behind a survey ship. This ensured that the transmitted acoustic signals could be detached by a streamer array behind the tow–fish. Sea trials demonstrated the potential for the use of a parametric source to sense, and eventually to characterise, marine sediment geophysical properties. Abstract: The University of Southampton’s entry into the Student Autonomous Underwater Challenge – Europe (SAUC–E) 2007 was a sutom designed and built autonomous underwater vehicle (AUV) named ‘SotonAUV’. Originally developed for SAUC–E 2006, the vehicle was significantly upgraded for the 2007 competition. The mechanical design of the vehicle is described, and an overview of the autonomy and control approaches employed is provided. The updated vehicle successfully competed in SAUC–E 2007, winning first place in the overall competition and taking the BAE Systems prize for innovation in autonomy. Abstract: Towed camera platforms have been important in the study of the deep sea for over 30 years. The use of towed camera platforms in deep–water science is reviewed, drawing from the experiences of the National Oceanography Centre, Southampton’s (NOCS) towed cameras, the wide–angle seabed photography (WASP) vehicle and the seafloor high–resolution imaging platform (SHRIMP). Practical considerations for towed camera platform use are outlined with particular reference to sensors, flying altitude and comparison between photographs and video. Although the technology for towed camera platforms will change over time, the concept remains of great value in studying the remote deep–sea environment. 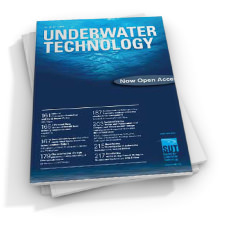 Abstract: In this paper, dive computer generated no decompression limits (NDLs) in fresh water at high altitude were compared with low–altitude single, repetitive and multilevel dives. All computer–generated high–altitude NDLs exceeded those published for the altitude dived. Computer rankings by conservatism for single dives at low altitude had negative correlation with rankings high altitude (r = –0.81). Correlation between high–altitude square–profile dives and low–altitude repetitive, multilevel NDLs was significantly higher (r = 0.91, p < 0.01). We conclude sea–level single–dive NDLs, such as those published in instruction manuals, are not reliable when gauging the conservatism of dive computers for use at high altitude. It is recommended that divers using dive computers for planning high–altitude dives to consider computer–generated real–time NDLs as experimental. 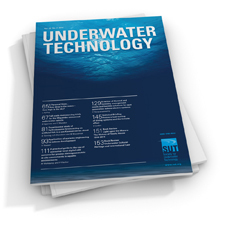 Abstract: The paper summarises work, carried out on behalf of diving and manufacturing companies, related to volatile hydrocarbon off–gassing in saturation diving systems. In the hyperbaric environment, the problem of off–gassing is compounded by the fact that the divers are exposed to the chamber atmosphere 24 hours a day, 7 days a week, for several weeks, thus exposure limits have to be set much lower than in industry in general. The diving systems themselves are monitored regularly, but work has been carried out to evaluate off–gassing form some of the products used in saturation diving. These include the paints used in chambers, the umbilicals used to supply gas to the diver under water, cleaning agents and new materials planned for use in the new dive systems currently being built. It is evident that some materials do off–gas considerable levels of volatile hydrocarbons. Some substances, such as paints, sealing compounds and cleaning agents, off–gas to an extent that would be unacceptable even under normobaric conditions. The soft furnishing materials that were tested off–gassed at acceptably low levels, however, modifications were required to the manufacturing process of bell umbilicals in order to get off–gassing down to an acceptable level. Material Safety Data (MSD) sheets are not required to take account of potential off–gassing; indeed, the vapour phase from substances is virtually ignored in the listing of important compounds. This mean s that MSD sheets cannot be used as a guide to safety of the gas phase. New materials destined for diving systems should be tested for off–gassing. It would seem prudent to continue to make routine checks on the diving system during diving operations. Abstract: Underwater acoustic channels (UACh) require robust techniques to obtain high speed data transmission to reliable communication. This paper presents the adaptive transmission technique, in conjunction with the maximal ratio combining (MRC) diversity technique, to adapt UACh fluctuation based on a statistical channel model. Simulation analysis shows that the data rate can be optimised allowing transmitted power to vary with signal–to–noise ratio (SNR), subject to average power constraint. It also shows that the data rate can be increased under adaptive techniques in conjunction with two–branch diversity. Under the optimum data rate, the Matlab simulink of the UACh quaternary phase–shift keying (QPSK) communication system provides a benchmark for experiment to be carried out in the actual environment. 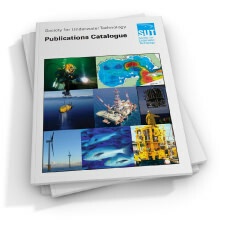 Subsea Technology – Where Next? Abstract: The Nereus vehicle will enable scientists to explore remote regions of the oceans, such as under the polar ice caps and deep trenches, up to depths of 10 972m (36 000ft). Technology limitations have prevented routine, cost–effective access to these remote regions, and the final 4500m of the ocean remain largely unexplored. New solutions to deep diving are described. The Nereus hybrid remotely operated vehicle (HROV) is designed for exploration and research needs as a single system. It can operate as an autonomous vehicle for seafloor surveys, or in a tethered/ROV mode to sample rocks or deep–sea animals The HROV Nereus transforms between its two modes of operation to accomplish all these tasks during a single cruise deployment. Sea trials of Nereus took place off the Hawaiian Islands at 2500m in November 2007. An overview of the vehicle and results from its initial trials are reported here. Abstract: In September 2007 on RRS Discovery, the Autosub6000 autonomous underwater vehicle (AUV) completed its first deepwater engineering trials and, fitted with a multibeam bathymetric mapping sonar, carried out its first science missions less than a year later as part of a geology and geophysics science cruise onboard the RRS James Cook. 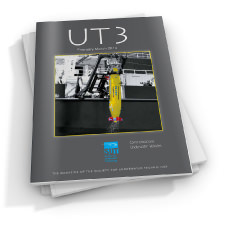 This paper describes how the issues of energy storage, navigation and buoyancy control were tackled that specifically affect a deep–diving AUV, capable of operating with true autonomy independently of the mother ship. Abstract: A plethora of methods to monitor shallow sublittoral benthic habitats and communities are available to the marine researcher today. The most widely used methods are reviewed and evaluated, with reference to the spatial scale at which they operate. For ease of comparison, methods are categorised as operating over broad (>1km), meso (10m 1km) and fine scales (<10m). A measure of efficiency and data resolution are provided by exploring the range of sampling techniques and strategies at each of these spatial scales. Recommendations are made regarding which methods are most effective at each scale: light detection and ranging (LIDAR) and multibeam sonar over broad scales; sidescan sonar, drop–down cameras, towed cameras and remotely operated vehicles (ROVs) over meso scales; and grab samplers, sediment corers for soft, unconsolidated sediments and photoquadrats, and video transects for hard, consolidated sediments at fine scales. Emphasis is placed on the development of standardised methodologies for sampling each scale within a nested design, for the monitoring programmes of the future. Abstract: A new method of wet welding was investigated to evaluate potential improvements in weld quality, ease of use, increased welding speed and the elimination of welding skill. The new welding process, which has been called Hammerhead `wet–spot’ welding, eliminates the need for skilled welder–divers as well as traditional cleaning and preparation techniques normally associated with conventional manual metal arc (MMA) wet welding. In addition, the process also allows welding to be conducted in nil visibility, yet remains a MMA process, using a specially designed Fe Cr Ni Mo electrode. The process utilises a control device, which must be pre–set before the diver enters the water. Through this device, weld parameters are controlled and quality is maintained, thus the role of the diver is simplified to three steps: make contact with the material, strike the arc and maintain pressure to the electrode while welding. A series of spot welds were produced both wet and dry on 8.0mm carbon steel plates. The welds were evaluated with regard to ease of use and setting up of the device, speed and final weld quality. Initially, the performance of the process was assessed and usage diagrams produced. Work regarding an automated version of the system has also been proposed. Abstract: The paper presents automatic control system design considerations for underwater vehicles conducting a diversity if intervention and inspection missions. Such multitasking vehicles are here denoted as ‘hybrid underwater vehicles’. Dependent on the various operations, the vehicle particulars – such as mass, breadth, length or centre of gravity – may change considerably due to changing payloads, such as tool and instrumentation packages. This can lead to both structural and parametric model variations that will be time–varying, though partly known, depending on the given mission. Both the modularity in the controller design and the ability to switch between the appropriate banks of controllers enable the design of automatic supervisory–switched control systems. This paper also presents recent research work at the Norwegian University of Science and Technology (NTNU) on nonlinear model–based control of slender–body underwater vehicles. In particular, results from a study using a Minesniper MKII will be discussed, describing two of the model regimes as proposed for supervisory–switched control concept. Abstract: The paper describes the current evolution of the class of Fòlaga underwater vehicles, whose actuation mechanism is hybrid between oceanographic gliders and standard, self–propelled autonomous underwater vehicles (AUVs). The Fòlaga vehicles have been designed for coastal oceanography and environmental sampling: the application–oriented design approach has resulted in light–weight, low–cost, low–maintenance vehicles. A description of the vehicles’ design and guidance, navigation and control capabilities is given, together with data from recent experimental trials. Abstract: This paper describes the ROVLATIS, a multi–mode of operation flexible platform for high–resolution near–seabed survey from shallow inshore waters to depths beyond 1000m. The paper further describes the operation modes of the vehicle. Special system features include: deployment flexibility for both small inshore boats and larger research vessel; fault tolerant controls; onboard computer control enabling real–time disturbance reaction, autopilot functionality and autonomous underwater vehicle (AUV) experimentation; and topside augmented reality operations support, simulation for remotely operated vehicle (ROV) pilot and sonar operator/hydrographer training. Vehicle and control development using the University of Limerick (UL) virtual underwater laboratory/simulation tools and hardware–in–the–loop testing is described. The paper includes test results from the March 2009 offshore sea trials with the ROVLATIS. Abstract: This paper describes the work carried out during the first part of the European research project Virtual ExploratioN of Underwater Sites (VENUS) by two of the participating teams. As the project is aimed at developing a set of best practices, procedures and tools for exploring underwater archaeological sites, part of the work concentrated on the use of unmanned underwater vehicles for gathering optical and acoustic data on field and their use in constructing photographic maps. At the same time, the use of unmanned surface vehicles for long–range exploration and construction of large–scale acoustic maps was investigated. Concentrating the first point, the main results consist of a series of best practices and procedures for collecting correlated and geo–referenced optic and acoustic images, which are used for constructing online two–dimensional photographic maps of the explored area during the survey, as well was offline three–dimensional representation of the site in a virtual reality environment. The construction of two–dimensional photographic maps represents a major innovation towards conducting archaeological exploration and defines a new, efficient way of governing it, at logical level, in a closed loop fashion. Integration of the information into a geographic information system (GIS) has also been developed to help archaeologist interpret the results of the ongoing exploration with respect to larger scenarios, and possibly to modify or adjust the mission parameters during its execution accordingly. The basic capability of surface vehicles in connection with the objectives of the archaeological exploration has been investigated as a basis for an integration between underwater and surface vehicles in that activity.